Q. How do I find a trade book for BIO 102? 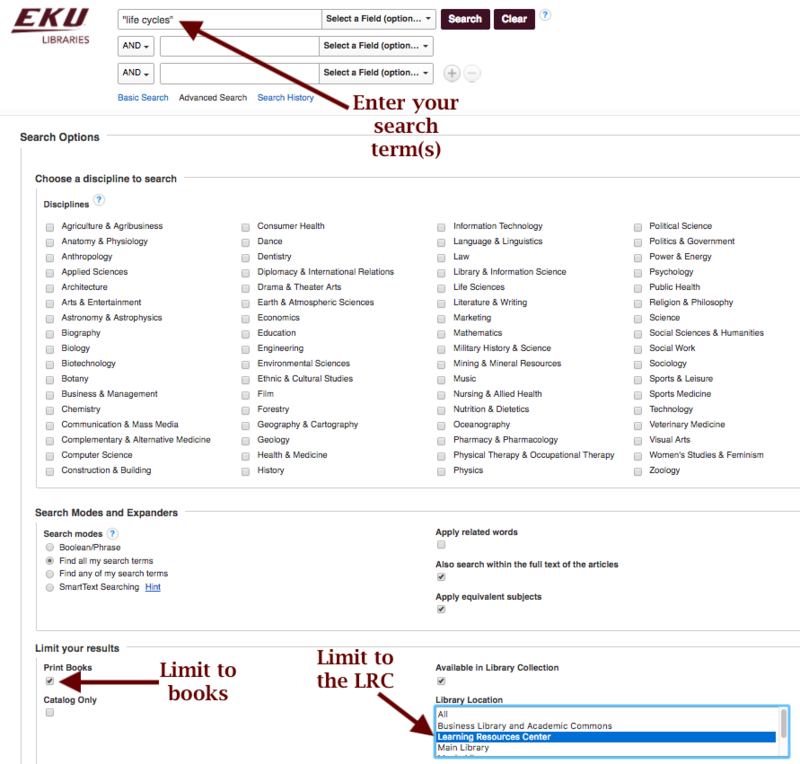 Step 2: Enter your topic/search term(s) and use the limiters to restrict your results to only LRC books. Step 3: In your results, note the call number and availability of the book.